Binoculars for watching the birds in the garden. And a microscope with up to 900x magnification to get a closer look at bugs and flowers by making your own slides with the tools provided. 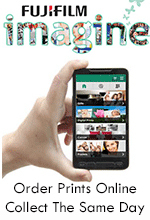 Very easy to use and will expand the mind encouraging curiosity in the young, and old alike. 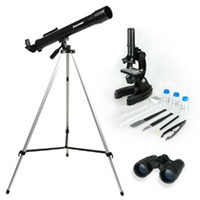 50mm aperture refractor telescope with 600mm focal length. 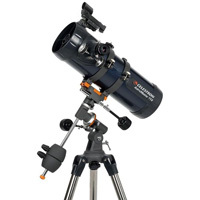 60 mm refractor with special edition COSMOS eye nebula graphic. 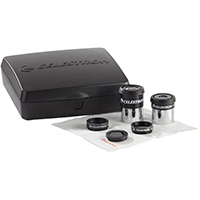 Fully coated achromatic glass lenses for clear, crisp images. 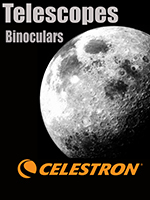 Suitable for astronomical and terrestrial use. 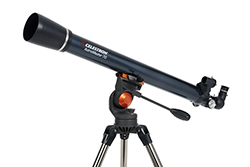 Quick and easy no-tool setup: permanently mounted finderscope for convenience, rugged tripod with steel legs. Pan handle Alt-Azimuth control with clutch for smooth and accurate pointing. 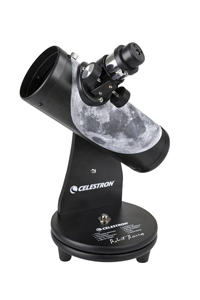 A portion of the proceeds from this telescope benefits the International Dark-Sky Association to minimize light pollution.